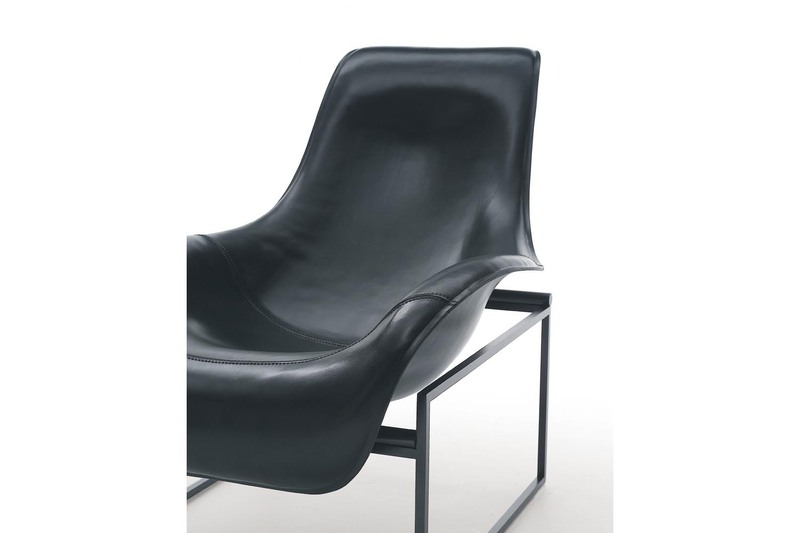 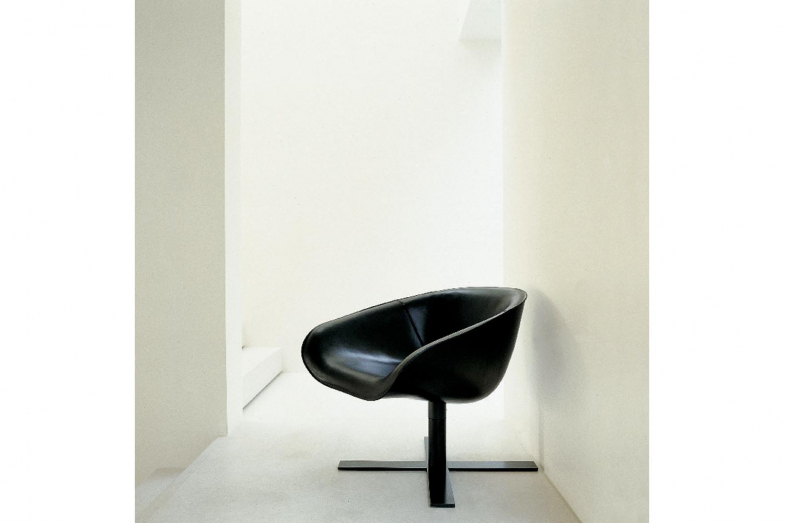 Mart seats, designed by Antonio Citterio for B&B Italia, are made from thermoformed leather. 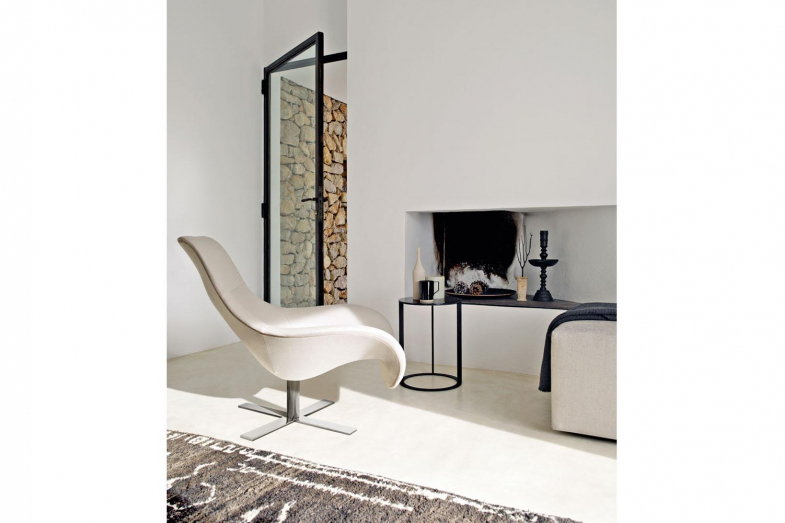 A restful and inviting seat with traditional styling. 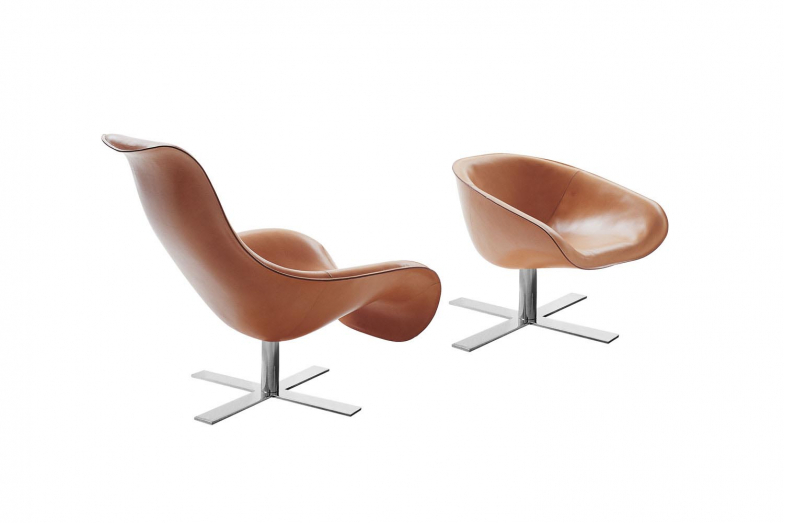 Experimentation and research have led to the Mart seating project, which results from a new production technology for thermoformed leather. Two types of seats are available: a smaller and a larger version. 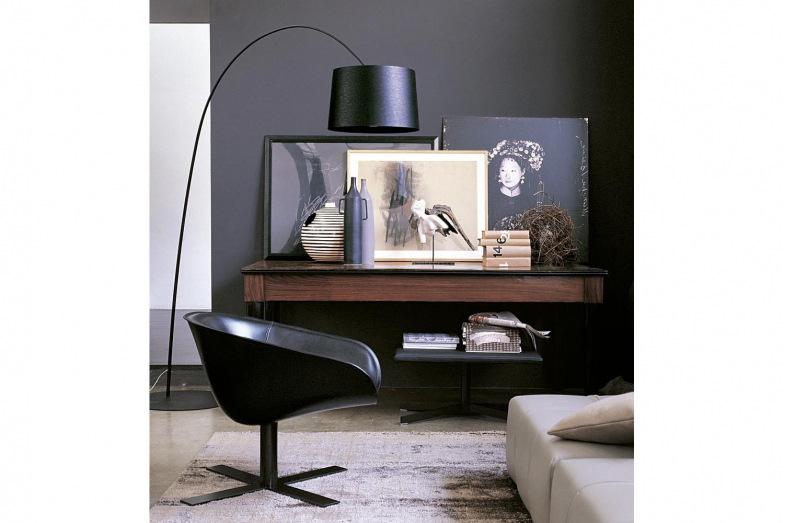 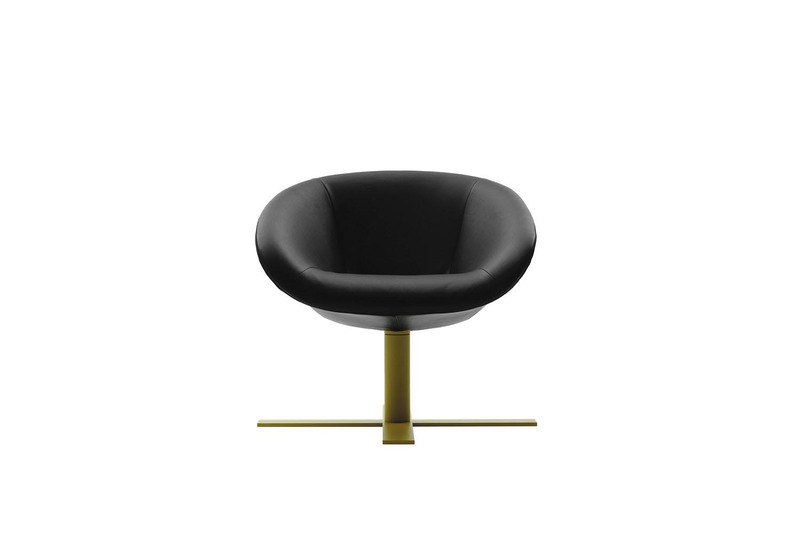 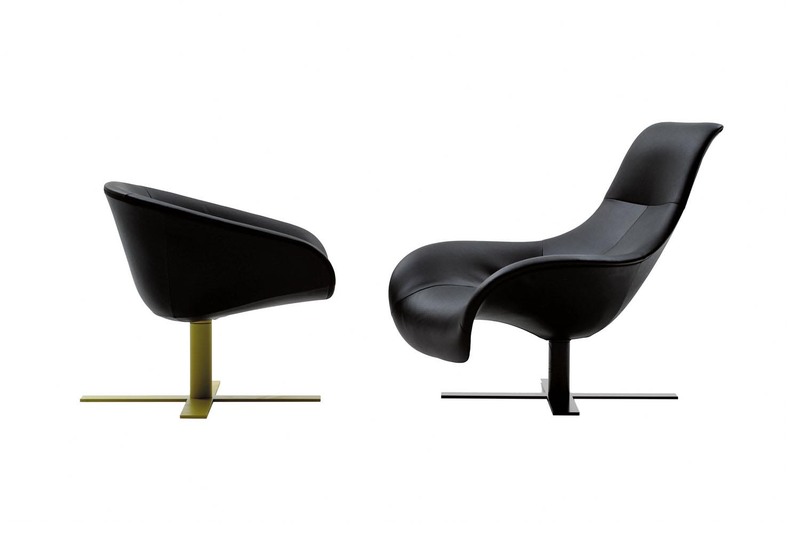 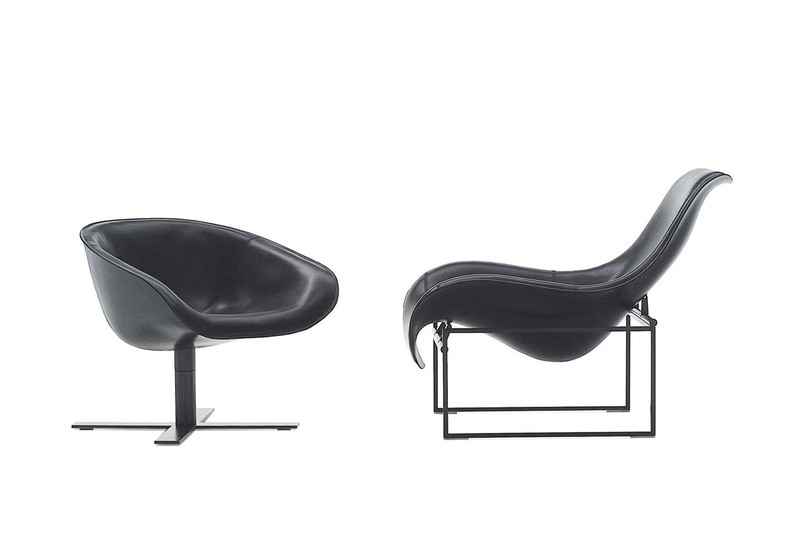 Both are available with a revolving disk-shaped aluminium base available in black for fabric versions, or varnished to match the seat for leather versions. 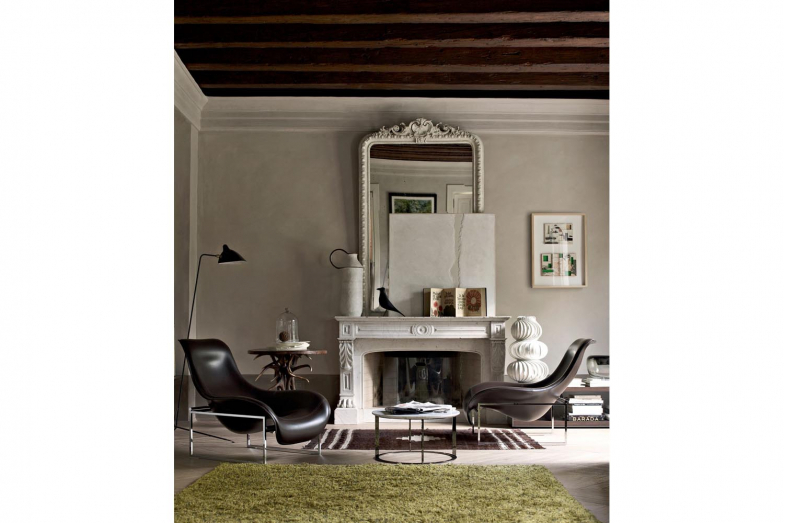 A second base version is a cross-shaped base. 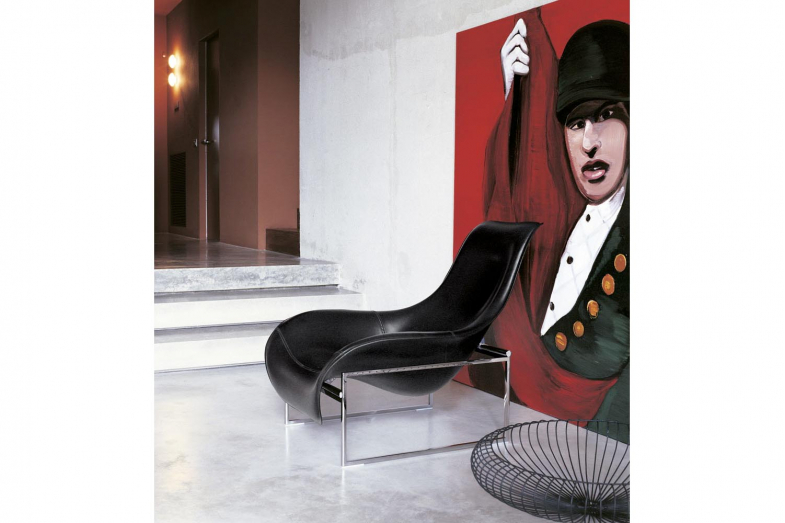 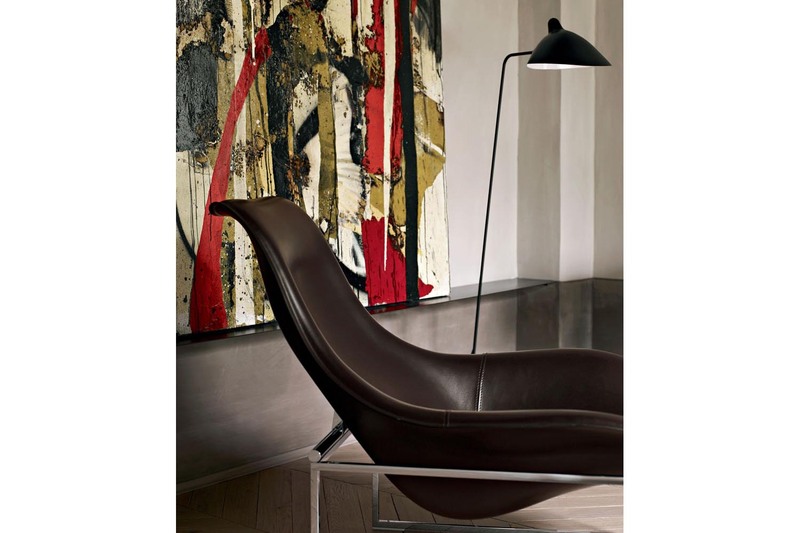 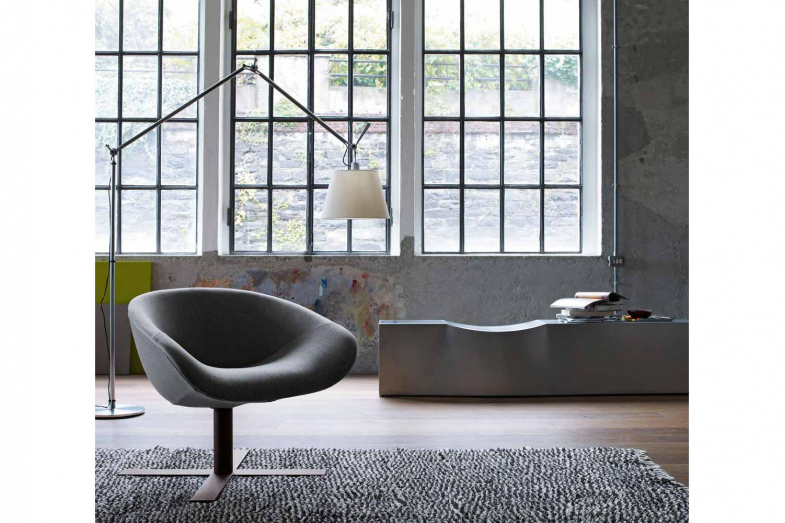 The restful seat envisages a third type of bright chromed or black varnished steel base. 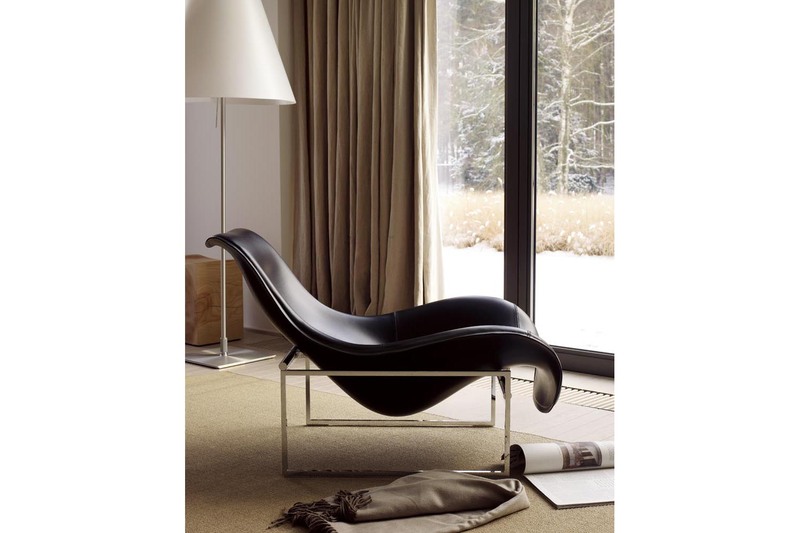 A smaller seat upholstered in thermo-formed leather or fabric is available on a version equipped with wheels.